In 2017, Dinnerstein had three major projects. She released the album Mozart in Havana, recorded in Cuba with the Havana Lyceum Orchestra. She went on to bring the orchestra to the U.S. for their first-ever American tour, playing eleven concerts from Miami to Boston. Philip Glass wrote a piano concerto for Dinnerstein, co-commissioned by a consortium of twelve orchestras. She premiered it in Boston with string orchestra A Far Cry, in what the Wall Street Journal described as a “graceful, fluid reading.” At the New York premiere, The New Yorker was “struck dumb with admiration” by this new addition to the piano concerto repertoire. During 2018, Dinnerstein has been performing the concerto with twelve orchestras across America and internationally with the London Symphony Orchestra, the Manitoba Chamber Orchestra, and the MDR Leipzig Radio Symphony Orchestra. She released a recording of Glass’ piano concerto with A Far Cry in spring 2018. Finally, Dinnerstein continued her rich history with Bach’s Goldberg Variations. She collaborated with choreographer Pam Tanowitz on New Work for Goldberg Variations, which was featured on the 2017 top ten lists of critics at The New York Times and The Boston Globe. 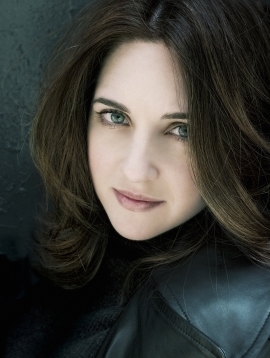 Dinnerstein first attracted attention in 2007 with her self-produced recording of Bach’s Goldberg Variations. It was a remarkable success, reaching No. 1 on the U.S. Billboard Classical Chart in its first week of sales and was named to many “Best of 2007” lists including those of The New York Times, The Los Angeles Times, and The New Yorker. The recording also received the prestigious Diapason D’Or in France and established Dinnerstein’s distinctive and original approach. The New York Times called her “a unique voice in the forest of Bach interpretation.” She has gone on to make eight albums since then with repertoire ranging from Beethoven to Ravel. The New York-based pianist’s performance schedule has taken her around the world. She has performed at venues including the Kennedy Center for the Performing Arts, Vienna Konzerthaus, Berlin Philharmonie, Sydney Opera House, Seoul Arts Center, and London’s Wigmore Hall; festivals that include the Lincoln Center Mostly Mozart Festival, the Aspen, Verbier, and Ravinia festivals; and performances with the Vienna Symphony Orchestra, Dresden Philharmonic, Staatskapelle Berlin, RAI National Symphony Orchestra, Royal Scottish National Orchestra, Czech Philharmonic, Danish National Symphony Orchestra, New York Philharmonic, Minnesota Orchestra, Atlanta Symphony, Baltimore Symphony, Montreal Symphony Orchestra, Melbourne Symphony Orchestra, Orquestra Sinfonica Brasileira, and the Tokyo Symphony. Dinnerstein has played concerts throughout the U.S. for the Piatigorsky Foundation, an organization dedicated to bringing classical music to non-traditional venues. She gave the first classical music performance in the Louisiana state prison system at the Avoyelles Correctional Center, and performed at the Maryland Correctional Institution for Women in a concert organized by the Baltimore Symphony Orchestra. Dedicated to her community, Dinnerstein founded Neighborhood Classics in 2009, a concert series open to the public hosted by New York public schools, which raises funds for their music education programs. She also created a program called Bachpacking, for elementary schools. She takes a digital keyboard into individual classrooms, helping young children to get close to the music she loves. Dinnerstein, a winner of Astral Artists’ National Auditions, is a graduate of The Juilliard School where she was a student of Peter Serkin. She also studied with Solomon Mikowsky at the Manhattan School of Music and in London with Maria Curcio. She is on the faculty of the Mannes School of Music and lives in Brooklyn with her husband, son, and Old English Sheepdog, Daisy.